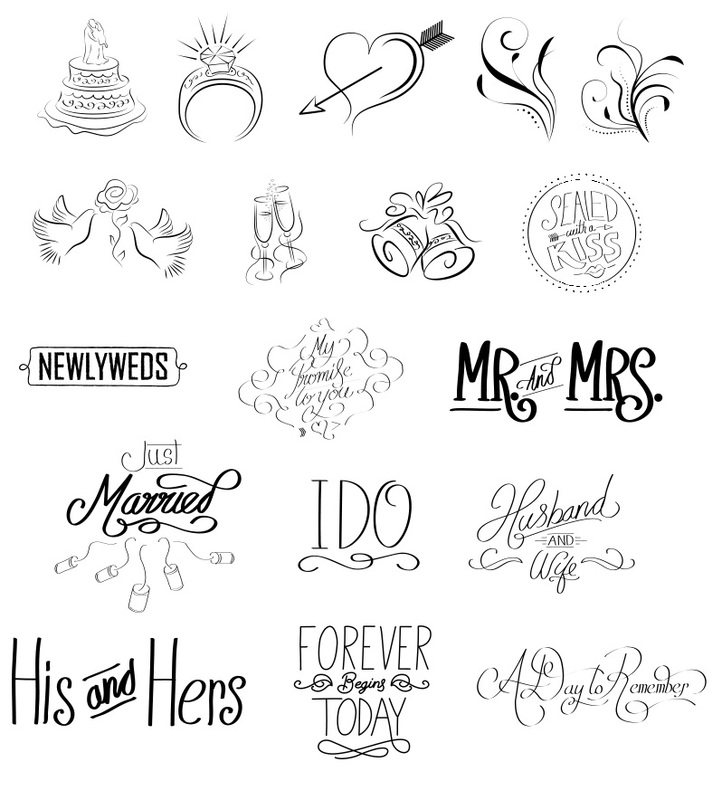 This set includes a total of 18 different overlays intended to be used with wedding photos. The overlays use a hand-drawn style, and they’re very detailed with an elegant look. They come in .psd and .png format. Just add them to your photos for a simple, elegant decorative element. They can be easily re-sized and colors can also be changed in either Photoshop or Photoshop Elements. Your clients will love these overlays for decorating photos that can be shared online, or for use in the creation of wedding albums. Please note, the text of these overlays is not editable. You can preview all of the overlays below. Documentation is included in the download to show how to use the overlays.